Fox News host Howard Kurtz blasted reports that said his Sunday show mistakenly posted a graphic that showed the cable network is less trusted than its competitors. “The Associated Press should be embarrassed by a story that utterly distorts what happened yesterday on my program ‘Media Buzz,’ ” Kurtz wrote Monday on Facebook. The news agency had published a story with the headline, “Fox News mistakenly posts graphic showing it lags in trust,” which has since been corrected. 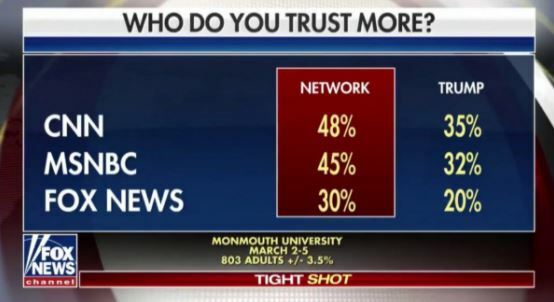 On Sunday, Kurtz had been talking about a new Monmouth University poll on “fake news” and American trust in the media when a graphic appeared on-screen. “WHO DO YOU TRUST MORE?” the graphic's banner said, and listed Fox News at 30 percent, while competitors CNN and MSNBC came in at 48 percent and 45 percent respectively. The poll numbers were on air for less than six seconds, enough time for plenty of other people to take note. Except that's not what the graphic shows. The three cable networks were not being compared to each other; instead, poll respondents were asked to compare each network to Trump as a trusted source of information. Monmouth found that 30 percent of people trust Fox News more than they trust President Trump; 20 percent of poll respondents said trust the president more than they do the network. Thirty-seven percent said they trust both equally. This is an obvious explanation: Fox’s viewership leans conservative, so it’s more likely to believe what Trump says — even more than its preferred cable news channel. That CNN and MSNBC viewers place more trust in their outlet over Trump is probably more a reflection of their viewers not trusting Trump rather than the relative quality of their journalism. On Facebook, Kurtz explained what happened. 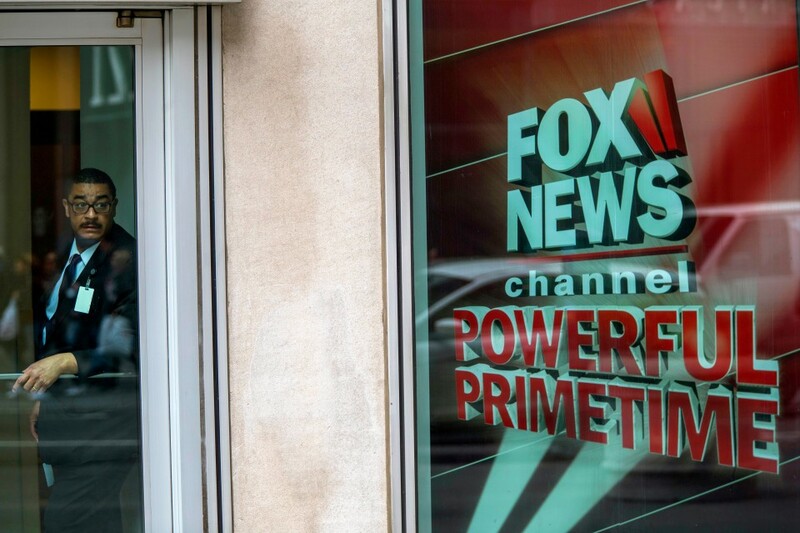 Fox News was the most-watched basic cable network in the first quarter of 2018, followed by MSNBC, according to Adweek. CNN was seventh for the total day and 11th for prime time. The Monmouth poll, published April 2, came with a dire message for journalists. A graphic that appeared during a segment of the Fox News show “Media Buzz” on Sunday. Emily Guskin and Aaron Blake contributed to this report. Herman Wong is a deputy editor on the general assignment news desk for The Washington Post. He joined The Post in 2014, and was previously at the business news site Quartz.